As a child she had inspirational and compassionate teachers. She recalls the field trips and land-based learning where she learned how to fish, as well as snare and track rabbits. Daniels also recognizes her grandparents who raised her at Sturgeon Lake First Nation as important early educators. 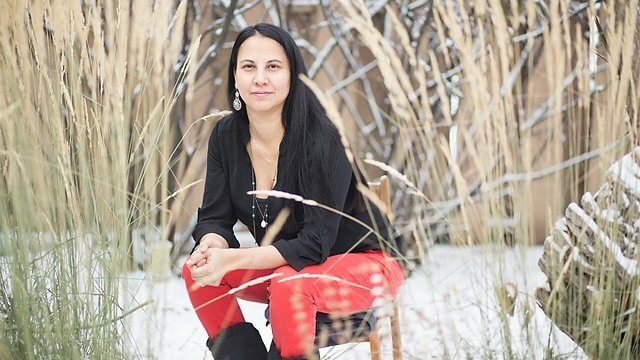 In 2015, Daniels won the Canadian Teachers’ Federation Outstanding Aboriginal Educator Award and is currently one of the finalists for the Varkey Foundation’s Global Teacher Prize. She was selected as one of the top 50 out of 8,000 applicants and is the only Canadian finalist this year. The prize has been nicknamed “the Nobel Prize’ in teaching and the winner will receive one million dollars. Daniels is going to Dubai in March to meet the other finalists. "The speakers are incredible, the judges are just phenomenal. Even if I don’t win, this is an opportunity of a lifetime to learn from the best." Daniels has said that if she wins, "I would use the proceeds to invest in Indigenous languages, Indigenous learning. I would do research in this regard. I would also want it to be about land-based education. We have to teach our young people what a sustainable environment looks like. How do we address climate change? These are very real issues. It's such a dire, critical point in our humanity." Daniels teaches Cree classes to people of all ages. She works with everyone from high school and university students to kindergarten students. 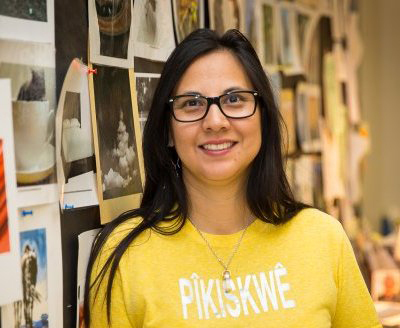 As part of her work, she is preparing for the upcoming nehiyawak Summer Language Camp taking place in July. Daniels is on a one-year education leave from her regular teaching job to work on her PhD in interdisciplinary studies. She is focusing on land, language and identity. "I’ll be researching the idea of how our languages connect to our mental health and well-being. Right now I believe we are in a state of suffering without our languages." She goes on to say, "I believe currently we are suffering from a type of mental and well-being illness because we don’t have our Indigenous languages that connect us to a huge array of knowledge in the seen and unseen world. "Language is culture. It's really important that language is intertwined with the meaning behind the dances, with the meaning behind the arts that we have as Indigenous people." "Language is culture. We talk like it's two separate entities, when actually they’re not. When we focus just on the culture we’re not doing Indigenization justice. Language is culture. It's really important that language is intertwined with the meaning behind the dances, with the meaning behind the arts that we have as Indigenous people." Daniels believes in lifelong learning. "I was always taught that when you stop learning - when you stop exercising your brain - that is when you are done your existence."